Celebrate America with our caviar picks. This caviar variety is sustainably farmed in America. Our first pick is, Americana, our White Sturgeon caviar that is sustainably farmed in the United States of America. 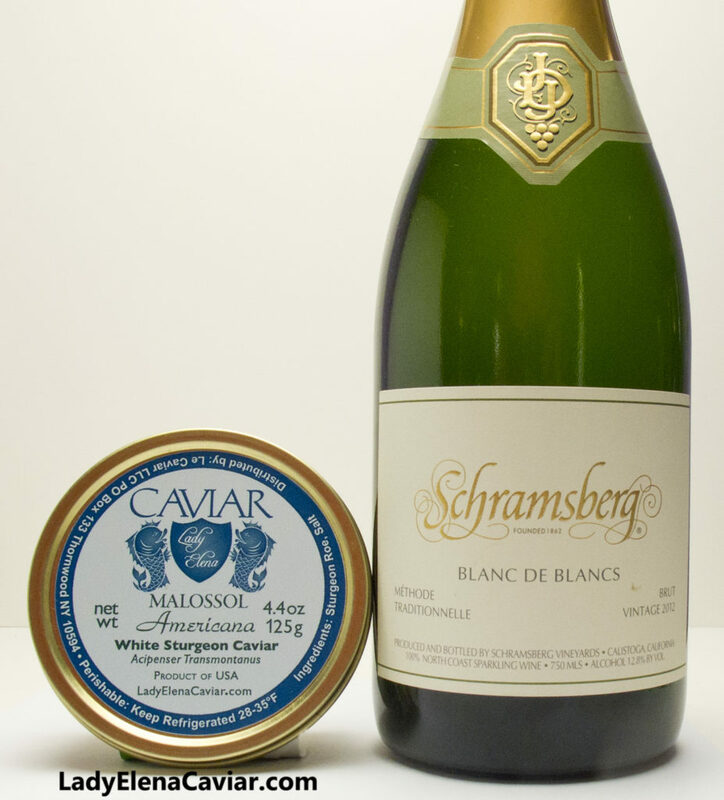 Our White Sturgeon caviar is is buttery to nutty and not to salty. Our Americana White Sturgeon caviar makes a great pairing with this American produced Sparkling wine from Schramsberg in Calistoga California. When in New York City, America’s Wine Shop of course.